Our boyfriend style t shirt is distinguished by a leisurely feel as well as its impeccable details. 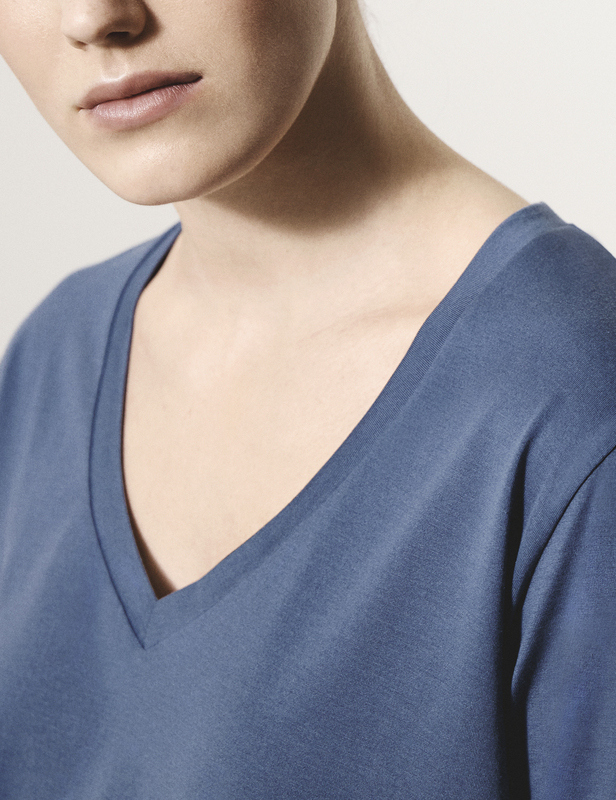 A slightly oversized style and fit, it has an ample v neckline and it is crafted from our lightweight super soft cotton jersey fabric. Crafted from our premium lightweight jersey fabric — superfine two-fold (80/2) yarn made from the finest extra long staple Peruvian Pima cotton.